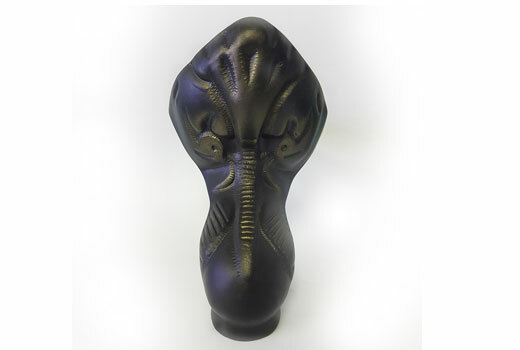 The 60 inch Chelsea Clawfoot Slipper is as budget friendly as it is adorable. 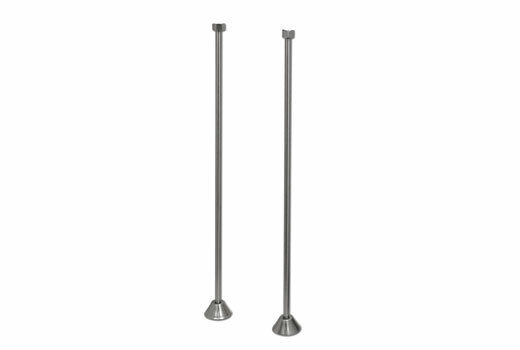 Gracefully sloped, with a raised back, and imperial style feet in white, chrome, satin nickel, or old world bronze. 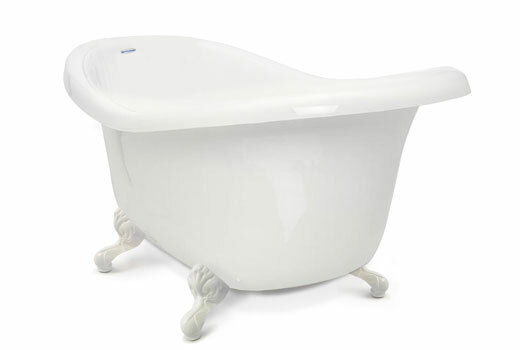 This beautiful slipper tub is available with or without faucet . To get the best deal, make it a "package", and select the F900 series deck-mount faucet and water supply-lines. The "package" will include the traditional waste & overflow drain. 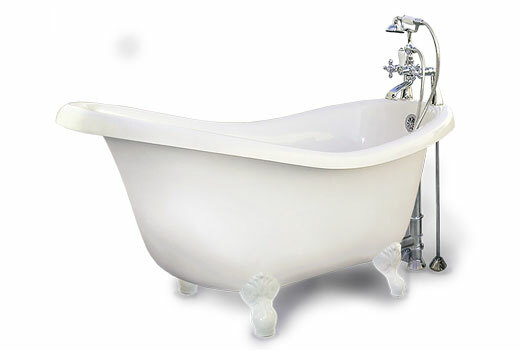 Low price, great quality, Limited Lifetime Warranty on the tub. You can't beat this one. 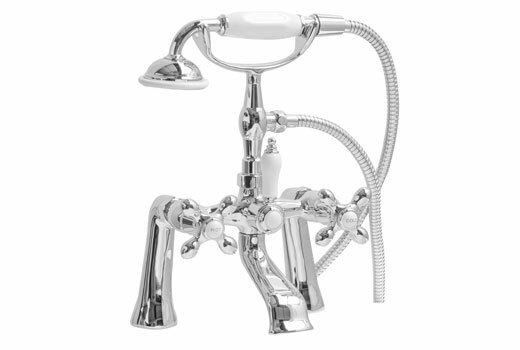 About Faucet Ordering & What's Included in "Package"
If selecting one of our package faucets please note the faucet included will match the finish of the tub feet selected except in the case of *white feet. 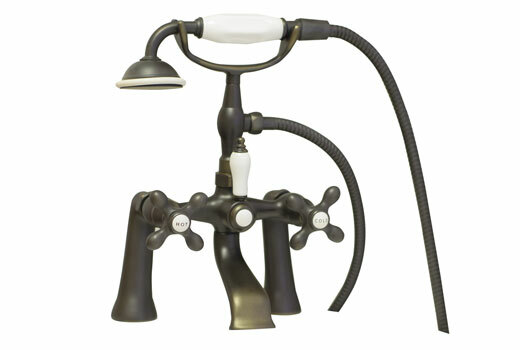 The F900 Deck-mount faucet package includes: F900 Deck-mount faucet, matching straight water supply-lines, and matching tip-toe drain. If Package is selected, the faucet holes will be drilled on the rim at 7" on center at no additional charge. 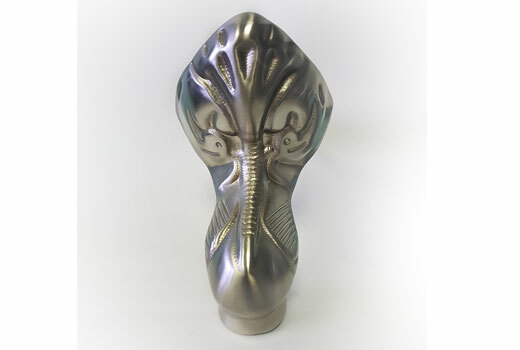 *If white feet are selected you will need to specify the finish of your faucet package. 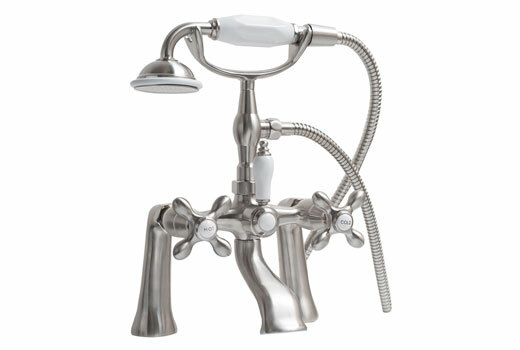 If the F900 deck-mount faucet is ordered the tub fixtures will match tub foot finish. If white feet are selected, the faucet, drain, and water supply-lines will be chrome. The F900 deck-mount faucet package includes: F900A faucet, straight water supply-lines, and a tip-toe waste & overflow (drain). If you select the optional F900 deck-mount faucet from the available options, your faucet holes will be drilled at 7" on center, to fit the faucet, at no charge.